Previously, the ACCENT program was established for use only by U.S. Army mission owners. 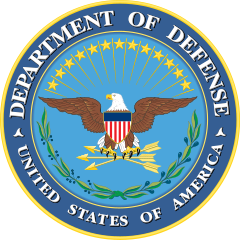 GovDataHosting, through its parent company IT-CNP, has been awarded a basic ordering agreement (BOA) on the Army Cloud Computing Enterprise Transformation (ACCENT) program, which allows us to provide commercial cloud service offerings (CSOs) and IT support for Army systems migrating to its authorized cloud service infrastructure. In 2011, the U.S. government ordered the consolidation of Army data centers and the migration of enterprise systems to authorized commercial cloud hosting systems. The ACCENT program allows all Army commands and organizations to move specific IT applications, systems, and data to the cloud, including solutions required for the migration of certain legacy applications and platforms. GovDataHosting was chosen as a vendor due to its proven capabilities and extensive record with accomplishments in providing government agencies and organizations with FISMA-compliant, FedRAMP certified cloud hosting services, experience in application migration to the cloud, and all-inclusive cloud security compliance services. Download Our Printable Flyer OR Fill out the form below for more information about the ACCENT program.